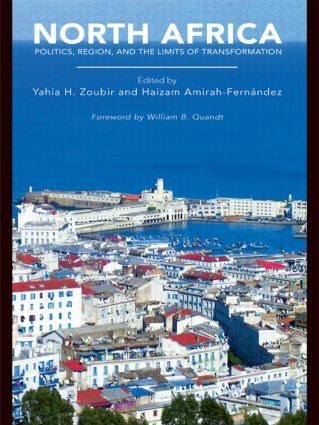 This volume provides a comprehensive overview of the contemporary Maghreb. Made up of contributions from leading academics in the field, it highlights specific issues of importance, including international and security affairs. With profiles of individual countries and regional issues, such as migration, gender, integration, economics, and war in Western Sahara, as well as a section dealing with international relations and the Maghreb, including US and EU foreign policy and security issues, North Africa: Politics, Region, and the Limits of Transformation is a major resource for all students of Middle Eastern Studies and North African Politics. Policy Reforms in Algeria: Genuine Change or Adjustments? Emigration, Immigration, and Transit in the Maghreb: Externalization of EU Policy? The United States, Islamism, Terrorism, and Democracy in the Maghreb: The Predominance of Security? France and the Maghreb: The End of the Special Relationship?